At 8:20pm on April 27, the Hue Festival 2018 opening program, themed “Hue! 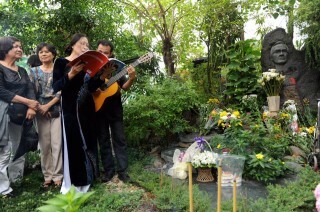 Toa sang mien di san” (Hue: A shining heritage region) officially took place at Ngo Mon (South Gate) Square. The opening ceremony was attended by Mr. Vo Van Thuong, Member of the Politburo, Secretary of the Party Central Committee, Head of the Party Central Committee's Commission for Propaganda and Training; Mr. Le Truong Luu, Member of the Party Central Committee, Secretary of the Provincial Party Committee, Chairman of the Provincial People's Council; Mr. Bui Thanh Ha, Permanent Deputy Secretary of the Provincial Party Committee; Mr. Nguyen Van Cao, Deputy Secretary of the Provincial Party Committee, Chairman of the Provincial People's Committee. 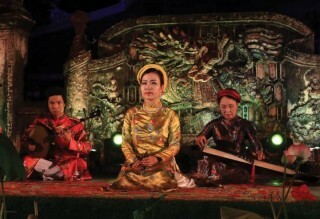 The opening program was a combination of traditional values ​​and contemporary art having the breath of Hue life, many typical cultural regions of Vietnam and other countries from five continents. 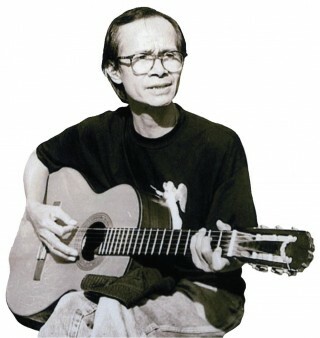 The program consisted of three parts: "Am sac" (Hue timbre), "Khuc giao hoa" (Harmony), and "Giai dieu toa sang" (Shining melody). In his opening speech of Hue Festival 2018, Mr. Nguyen Van Cao said that the organization of Hue Festival 2018 was aimed to continue implementing the project of building Hue city into a typical festival city of Vietnam, which had been approved by the Prime Minister since 2007. Hue Festival 2018 continues to be a forum for cultures to meet and interact. 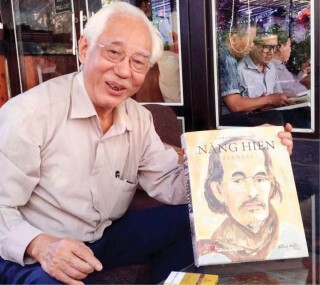 Accordingly, Hue Festival 2018 with the participation of 24 art troupes from 19 countries and territories of five continents, will offer the audience hundreds of art programs which feature the Vietnamese cultural identity, Hue culture and cultural quintessence of other countries in the world. 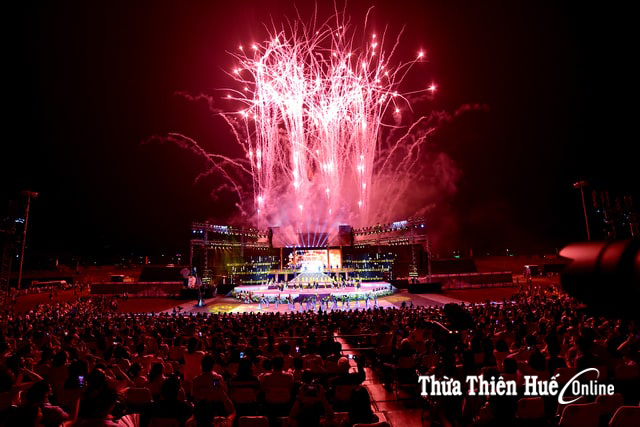 Mr. Nguyen Van Cao said that the successful organization of Hue Festival 2018 would contribute to affirming the right direction of Thua Thien Hue. 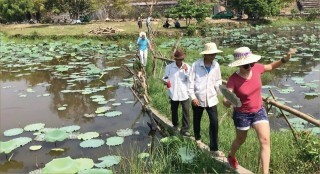 This direction entails building Hue into a typical festival city that deserves to be one of the unique culture-tourism centers of Vietnam. 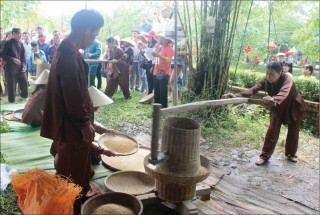 Building the typical festival city is to promote the cultural traditions, history and special position of the ancient capital of Hue in the flow of Vietnamese culture. The grand opening ceremony took place on a modern and large-scaled stage, with all the cultures mixing in a rich and diverse harmony, but still retaining their own distinct nuances. 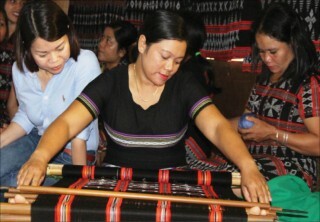 The national traditional musical material developed on the background music of contemporary rhythm and breath also expressed clearly the spirit of "Cultural Heritage with Integration and Development." 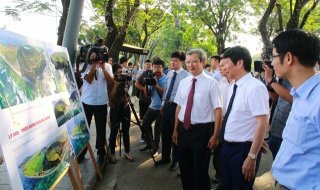 The opening art program has made a good impression on the public and visitors. Hue Festival 2018 has officially been launched, and hundreds of programs and activities are ready to invite visitors to explore and enjoy.